Have you said to yourself, "hand applique is so beautiful but, it's just too difficult for me"? Then you'll want to learn this "back basting" technique by award winning applique quilter, Lucille Lim. Lucille considers this back basting an easier technique to learn with beautiful, precise designs. No starches, no freezer paper, no plastic templates, no stiletto tool or glue! All you'll use is a light box and a basting needle. Come and take this class with us. It's going to be fun, easy and enjoyable! 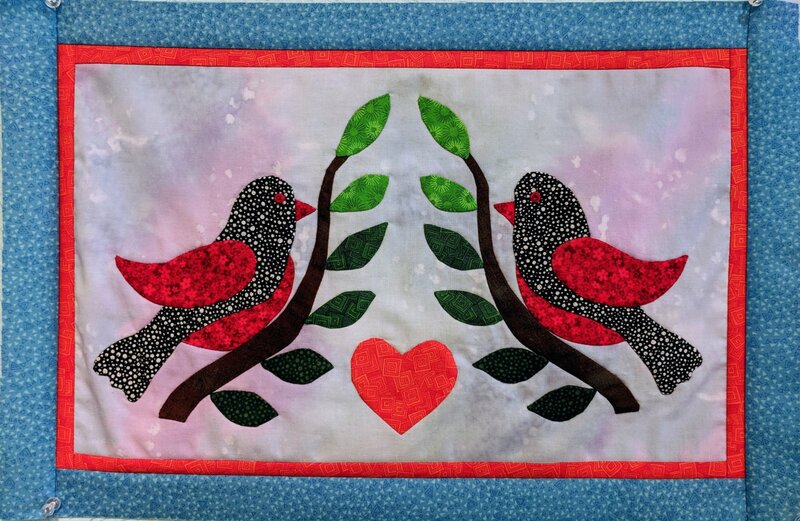 This class will walk you hand-appliquéing the bird, branch and leaves. Supplies are available in our store. Fabric: 1 light background fat quarter, scraps for bird, leaves, and branch. Instructor will be providing the pattern.